MAA members have access to excellent gear benefits. Loaner Gear on Official Events - All paid members can use MAA gear on all official events. MAA provides ropes, protection, technical equipment, crampons, ice axes, ice tools, helmets, harnesses, tents, stoves, cooksets, rock shoes, bivouac sacks and much more. These members can use this gear free of charge as often as they need it at official events. A gear list is provided on each event description. If there is something beyond what is being provided that you need on a particular event please contact the listed event leader. Loaner Gear for Private Trips - All MAA loaner gear except ropes and technical equipment are available on loan for private use, for Apex members only. Loaner gear is issued from our Sacramento headquarters. Please contact MAA at (916) 692-0005 or darren@mountainascent.org to make arrangements. Gear can be shipped if a member is willing to pay for shipping. Retail Discount - All paid members have a continuous retail discount with our retail partner Bobcat's Outdoor. 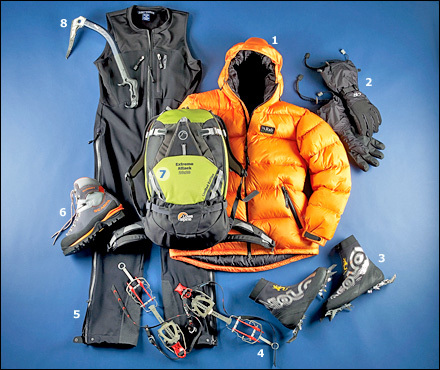 Bobcats stocks specifically for MAA and offers a wide selection of gear, footwear, packs, tents, and more for rock climbing, ice and snow climbing and mountaineering. The discount ranges depending upon membership level from 15% to 25%, Associate members do not have a discount. Please click below to access your retail discount code. Use it at checkout at Bobcat's Outdoor Adventure Sports. Thank you for your paid membership in MAA!